Last week my friend took me to Poulet Express, a small shop tucked away on a side street near Sandaga. 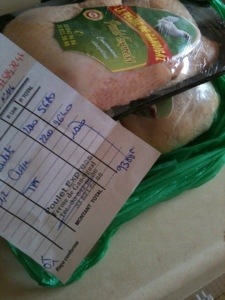 I was just tagging along, but when she said their chicken breasts were only 5,500cfa/kilo, I couldn’t pass that up. When they brought out my kilo of chicken breasts, I recognized the label as one I’d bought before and really liked. Good price and good quality? Score. 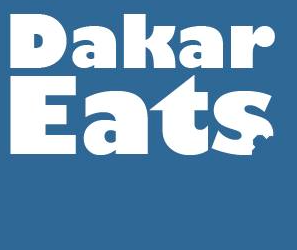 I don’t mean to sound jaded, but sometimes ‘delivery’ in Dakar isn’t exactly what we’re used to coming from the land of ‘under-thirty-minutes-or-it’s-free’. So I decided to test it out. My phone rings. It’s the driver asking for a clarification on the entrance. I hung up, wondering if he had even left Poulet Express yet. Ding-dong! Apparently he’d been calling from right outside. Delivery in 45 minutes? I’ll take it! I tried it today. Took about 2 hours for delivery but I was in no hurry. Better than going out. The chicken were decent size and fresh and there was only a 100CFA delivery tip. Thanks for the good suggestion. I have ordered from Poulet Express four times. They deliver quality chicken, but it’s always at least four hours late.